Renay Weiner and Marc Raphael scored 1.60 masterpoints with a ★61.03%★ game at Bridge On Shea. See full results of this game. Rona Homer and Bonnie Gutierrez scored 0.30 masterpoints with a 49.11% game at Clark Ransom. See full results of this game. Judy Brew and Judy Wellek scored 0.49 masterpoints with a 52.43% game at In Tempo Bridge Club. See full results of this game. Diane Weissman and Gayle Quiros scored 2.09 masterpoints with a 55.79% game at In Tempo Bridge Club. See full results of this game. Stephen Weiner and Renay Danto Weiner scored 6.00 masterpoints with a 58.59% game at In Tempo Bridge Club. See full results of this game. Suzette Wynn and Linda Mitchell scored 0.27 masterpoints with a 53.21% game at Bridge On Shea. See full results of this game. 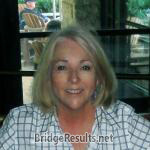 Judy Brew and Mark Robertson scored 0.42 masterpoints with a ★63%★ game at In Tempo Bridge Club. See full results of this game. Renay Weiner and Marc Raphael scored 0.84 masterpoints with a 55.89% game at Bridge On Shea. See full results of this game. 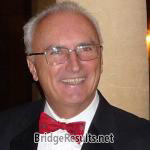 Judy Brew and Mark Robertson scored 0.29 masterpoints with a 52.41% game at In Tempo Bridge Club. See full results of this game. Stephanie McAdam and Gayle Quiros scored 0.49 masterpoints with a 51.39% game at In Tempo Bridge Club. See full results of this game. Suzette Wynn and Jane Rosenbloom scored 0.35 masterpoints with a 53.95% game at Bridge On Shea. See full results of this game. Linda Mitchell and Suzette Wynn scored 1.31 masterpoints with a 57.6% game at Bridge On Shea. See full results of this game. Renay Weiner and Marc Raphael scored 0.80 masterpoints with a 57.82% game at Bridge On Shea. See full results of this game. Stephanie McAdam and Gayle Quiros scored 4.81 masterpoints with a 59.18% game at In Tempo Bridge Club. See full results of this game. Renay Weiner and Marc Raphael scored 1.64 masterpoints with a 59.21% game at Bridge On Shea. See full results of this game. Renay Weiner and Steve Weiner scored 1.28 masterpoints with a 56.81% game at Bridge On Shea. See full results of this game. Suzette Wynn and Linda Mitchell scored 0.36 masterpoints with a 54.09% game at Bridge On Shea. See full results of this game. 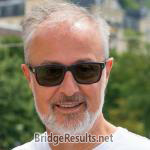 Mark Robertson and Gayle Quiros scored 0.50 masterpoints with a 52.67% game at In Tempo Bridge Club. See full results of this game. 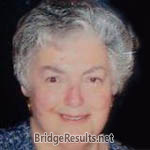 Linda Ornstein and Suzette Wynn scored 0.26 masterpoints with a 55.3% game at Bridge On Shea. See full results of this game. Gayle Quiros and Stephanie McAdam scored 1.31 masterpoints with a 59.69% game at In Tempo Bridge Club. See full results of this game. Renay Weiner and Steve Weiner scored 0.49 masterpoints with a 52.78% game at Bridge On Shea. See full results of this game. Judy Brew and Shelly Gordon scored 1.08 masterpoints with a 59.08% game at Bridge On Shea. See full results of this game.